Product prices and availability are accurate as of 2019-02-02 20:56:30 UTC and are subject to change. Any price and availability information displayed on http://www.amazon.com/ at the time of purchase will apply to the purchase of this product. Featuring a satin finish interior and mirror finish exterior, the beauty of the Chef's Secret 28pc 12-Element T304 Stainless Steel "Waterless" Cookware is matched only by its functionality. 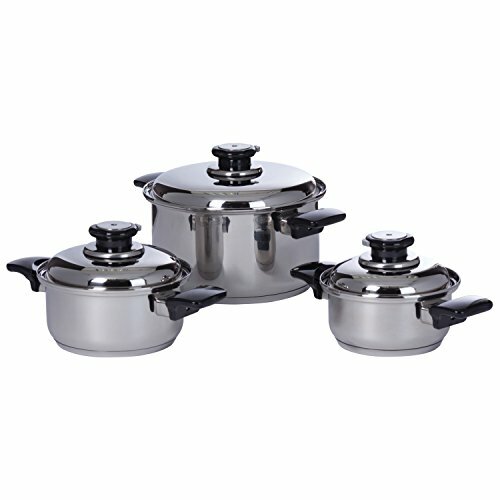 Featuring Steam Control top knobs for healthy, waterless cooking. 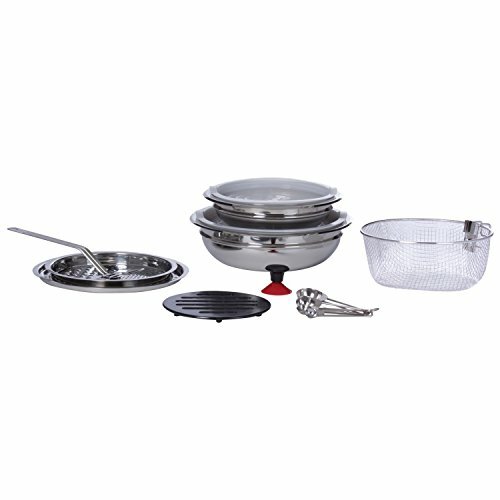 The T304 stainless steel bowls can also be used as double boilers or as dome covers for stove-top roasting. 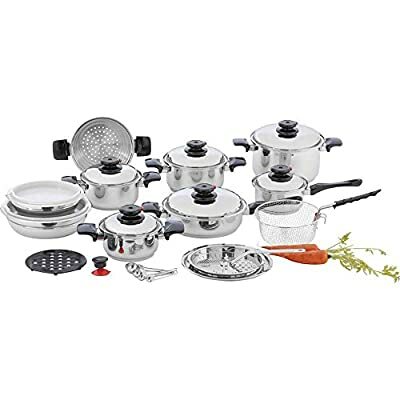 Set includes: 1.5qt saucepan with cover, 1.5qt stockpot with cover, 2qt stockpot with cover, 3qt stockpot with cover, 6qt stockpot with cover, 10-1/2" frypan with cover and helper handle, 9-3/8" mixing bowl and 11" mixing bowl with polypropylene covers, 8-3/4" steamer basket, 7-7/8" deep fry basket with handle, pan-top grater with handle and adapter ring, suction knob, Phenolic trivet, and 4pc measuring spoon set. 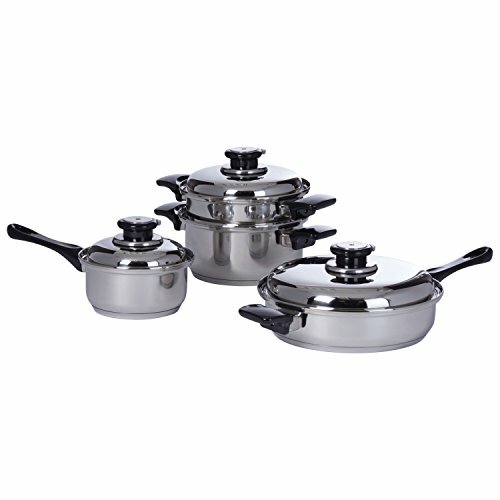 A complete cookware set so durable we offer a limited lifetime warranty. White box.